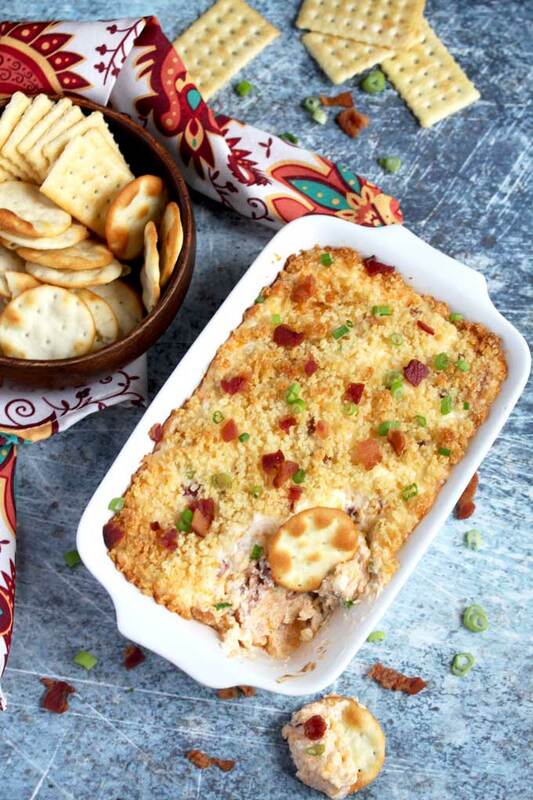 This Bacon Dip is one of our favorite dip recipes! Warm, creamy, cheesy and loaded with crispy bacon, this easy dip is perfect served with crackers or tortilla chips. 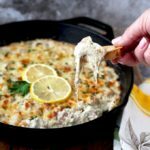 If you are looking for a tasty and addictive appetizer recipe to make for your next gathering, dinner party or game night, you need to try this warm and cheesy bacon dip! 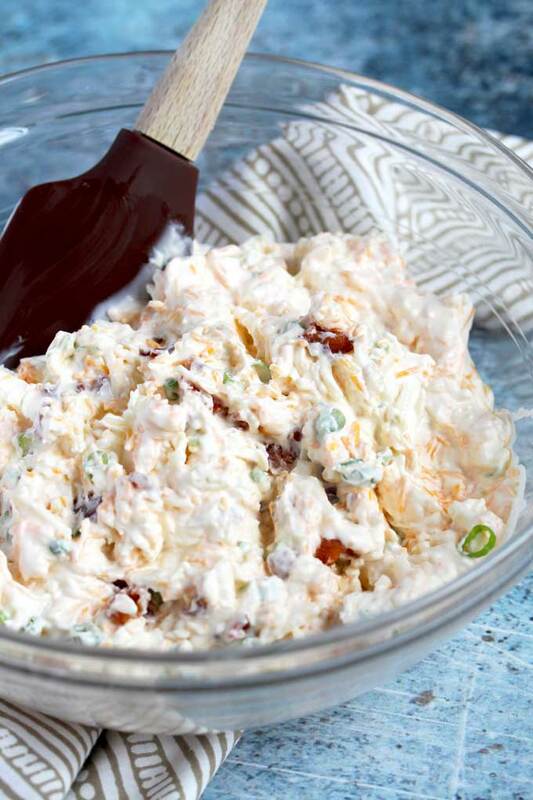 This gooey and tasty dip is easy to make and always gets rave reviews! 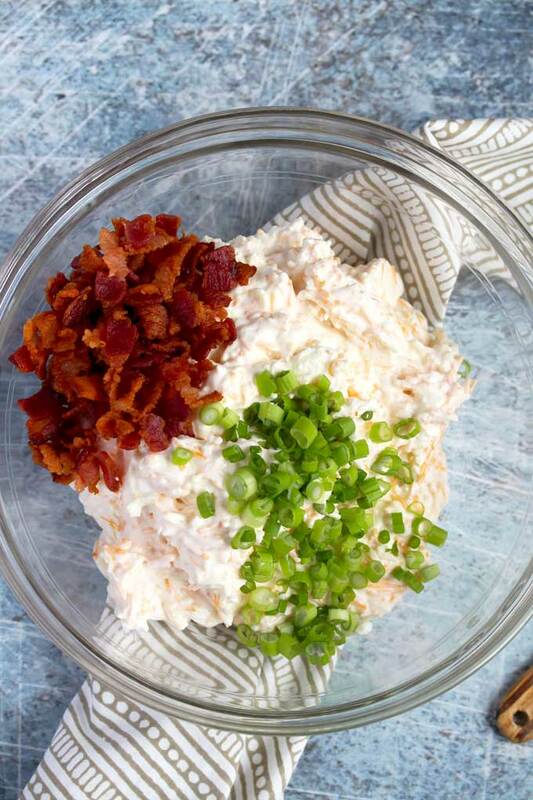 This tasty bacon dip combines cream cheese, sour cream, mayonnaise, mozzarella cheese, cheddar cheese, bacon and scallions. Topped with a crispy Panko bread and Parmesan cheese topping then baked until bubbly, golden and perfectly gooey for dipping. Making this appetizer is as easy as mixing a few ingredients together! Mix the 3-ingredient topping in a small bowl. Reserve about 1 tablespoon of crispy bacon and some scallions to use as garnish. In a bowl, stir together the cream cheese, sour cream, mayonnaise, garlic powder, mozzarella cheese and cheddar cheese until well combined. Add the bacon and green onions. Stir well. Pour the dip in a baking dish and top with the Panko breadcrumbs topping. Bake in a 375 degree oven for about 20 to 25 minutes or until bubbly and golden on the top. Garnish with the reserved bacon and green onions and serve. 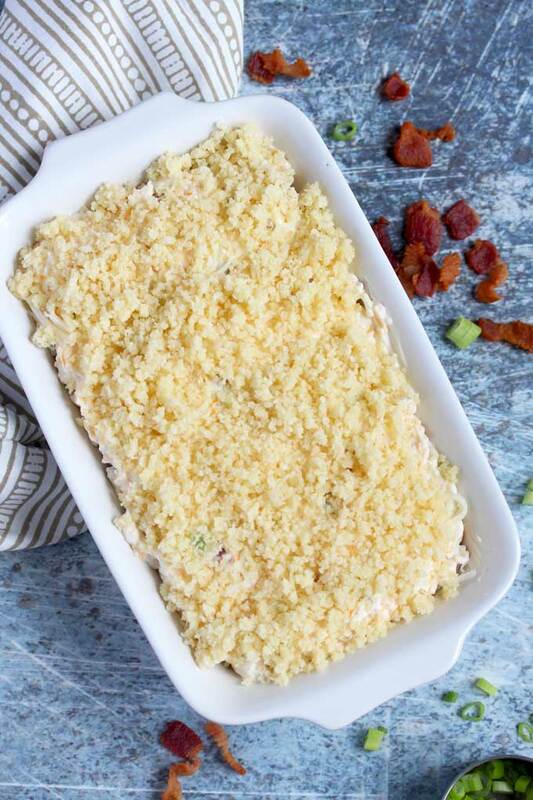 To make this easy dip, I always cook my bacon in the oven to crispy perfection. Cooking bacon in the oven is so easy and much better than having bacon grease splatter all over your stove. You can cook bacon in the oven in small and big batches. 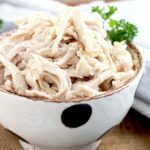 If you want to take this bacon dip to a potluck, school or office function, I am providing instructions for making this dip in your slow cooker. When making bacon dip in the crock pot, you will skip the crispy topping. I promise it will still be delicious. This appetizer recipe can be made ahead. Mix the dip ingredients and place them in the baking dish. Mix the crispy topping ingredients and place them in a ziptop bag. Refrigerate until ready to bake. Take the baking dish from the refrigerator 20 minutes before baking so the mixture is not too cold. Serve this warm and cheesy dip with crackers, tortilla chips, potato chips, pita chips or toasted bread slices. 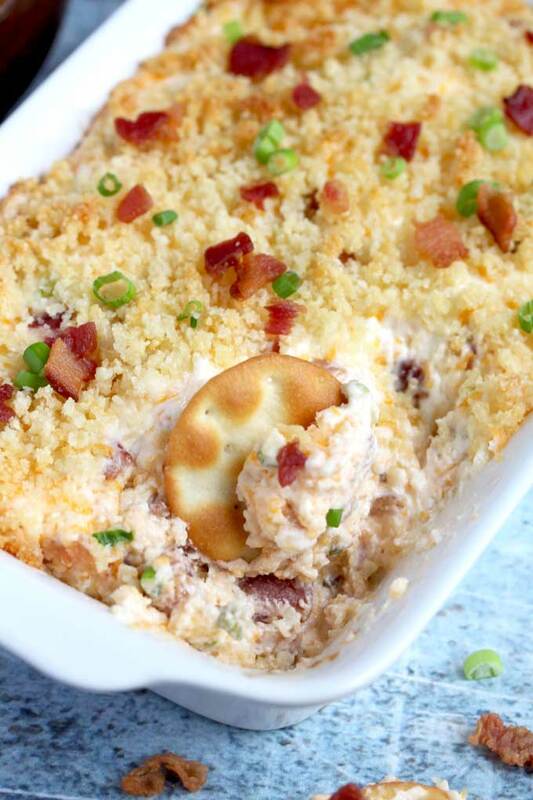 WANT TO TRY THIS WARM AND CHEESY BACON DIP? PIN IT TO YOUR APPETIZER OR DIP BOARD TO MAKE IT LATER!! 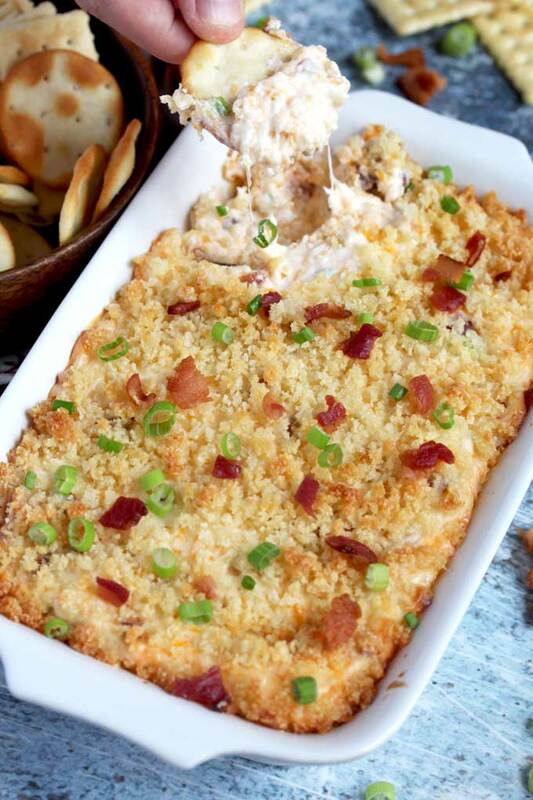 Reserve about 1 tablespoons of crispy bacon and some of the sliced scallions to garnish the dip. 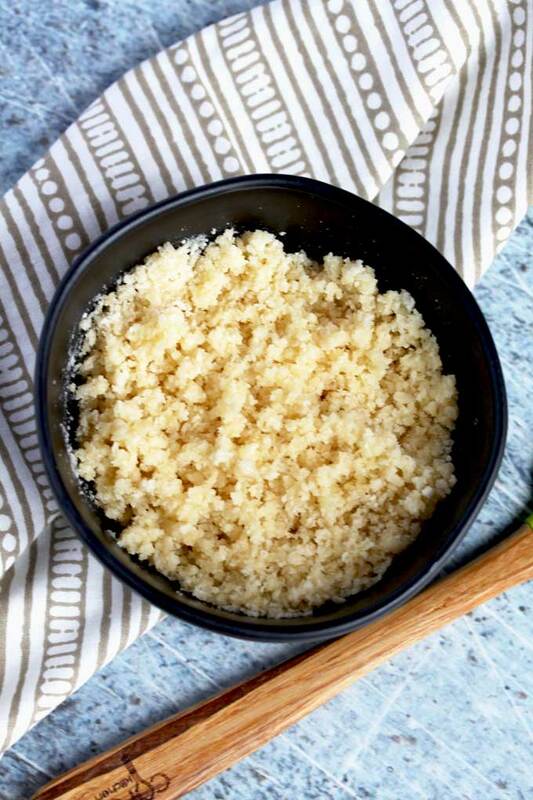 In a small bowl, combine the Panko breadcrumbs, Parmesan cheese and melted butter. Set aside. 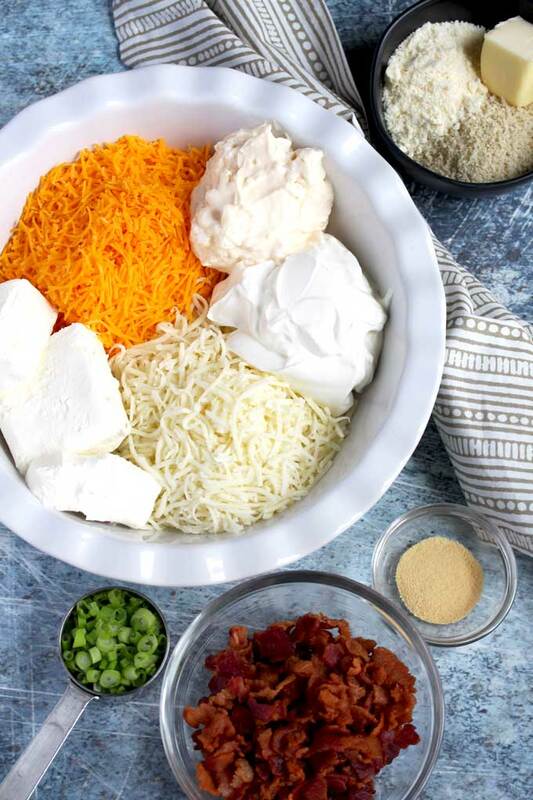 In a medium size bowl, stir together the cream cheese, sour cream, mayonnaise, garlic powder, mozzarella cheese and cheddar cheese until well combined. Add the bacon and green onions. Stir well. Pour the dip mixture into a baking dish (2 to 2.5 qt). Sprinkle the crispy topping over the dip. 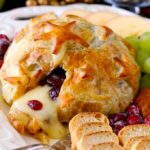 Bake for 20 to 25 minutes until the topping is golden brown and the dip is bubbly. Garnish with the remaining crispy bacon and green onions. Serve with tortilla chips, pita chips, crackers or bread. If making in the slow cooker, spray the slow cooker with non-stick cooking spray and pour the dip mixture. Cook on low for 2 hours. Top with the remaining crispy bacon and green onions. When making bacon dip in the crock pot, you will skip the crispy topping. Make this dip spicy by adding a small can of medium or hot diced green chiles. Nutritional information provided is an estimate and will vary based of the brands of ingredients used. Dippers like crackers or chips are not included in the nutritional information provided. Thank you for the feedback Jennifer! So glad to hear. Happy New Year to you and yours! You say bacon, and I AM IN! This dip looks amazing! So perfect for football season! Omg! This dip was amazing! I could eat it plain with no chips! Lol I followed the recipe exactly as it was wrote and no issues, quick and easy!.. so happy I found it! Thanks for sharing! Thanks Danielle! So happy to hear! Come back for more! !